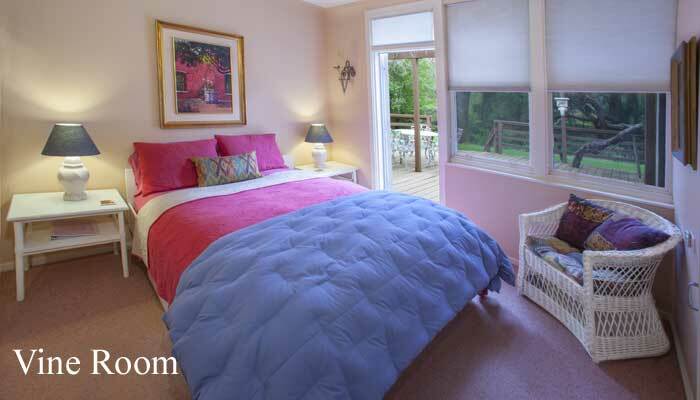 Large room with queen size featherbed, deck with view of lawn and oak trees. 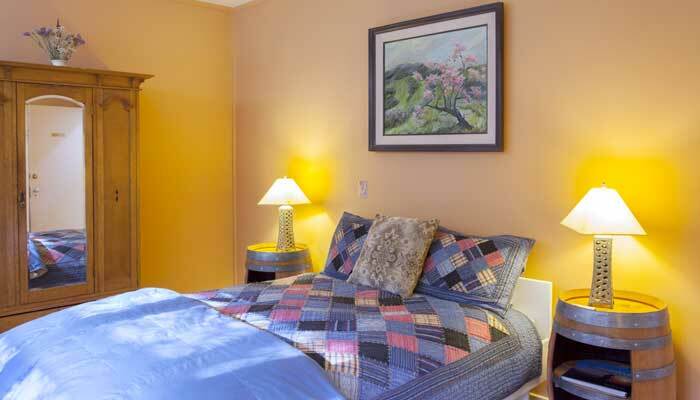 Detached private bathroom with a shower, located on the hallway (European style). 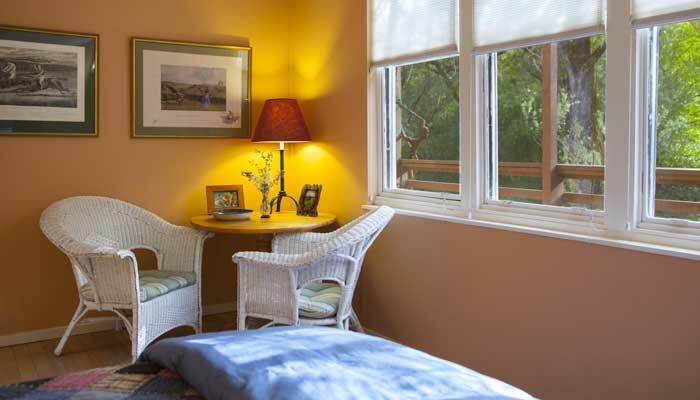 Oaks $180 per night. May also be reserved with the Vine Room next door for $325.